Envelope addressed to Mrs? 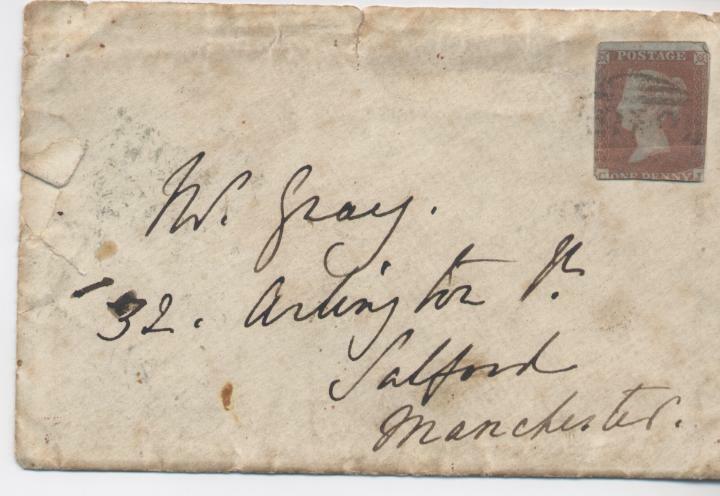 Gray, 32 Arlington St., Salford, Manchester with imperforate Queen Victoria 1d red stamp; sealed with black sealing wax and ? Sutherland seal.